AHEALTH » One Day Cupping Therapy Course in England by Ilkay Zihni Chirali, author of "Traditional Chinese Medicine Cupping Therapy"
One Day Cupping Therapy Course in England by Ilkay Zihni Chirali, author of "Traditional Chinese Medicine Cupping Therapy"
One Day Cupping Therapy Course by Ilkay Zihni Chirali, author of “Traditional Chinese Medicine Cupping Therapy”. 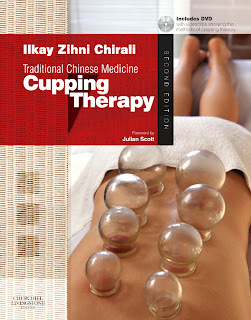 The following is an announcement by Ilkay Zihni Chirali, author of Traditional Chinese Medicine Cupping Therapy. Qualified as TCM practitioner in 1985 Melbourne Australia, where I opened my first Traditional Chinese Medicine clinic. Returned to England in 1987 where I set up a clinic in SE London and still practice. As Cupping Therapy Expert, I have presented cupping therapy papers in 5 International seminars, contribute regularly to the TCM publications and held well over 50 cupping therapy teaching workshops (England, Switzerland, Germany, Turkey, Denmark, Sweden, Norway, Holland and Australia) as well appearing as an “expert” on the BBC TV (Children In Need), BBC2 TV history program (Supersize me- Elizabethan times), BBC Radio4 Today and Capital Radio programmes. I also accept final-year Acupuncture students at my clinic for clinical practice and observation. Our thanks to Ilkay Zihni Chirali from England for sharing the above post. If you have any questions or want to leave some feedback on their workshops, then please do so via a comment* below.